Last modified on July 4th, 2018 by Vincy. In general, the shopping cart software product view page will show the preview image with slideshow. The product slideshow is used to preview the product’s images. In earlier tutorials, we have seen PHP shopping cart examples with a single image per product. 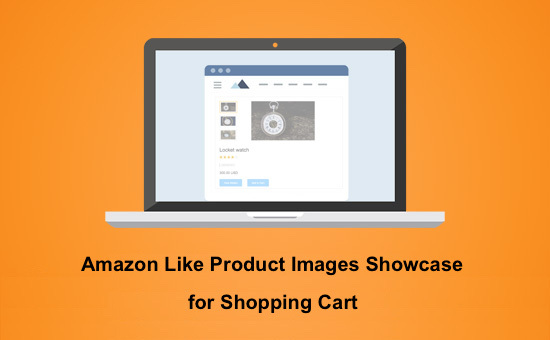 If a product has multiple preview images, then the online shopping applications provide options to the user to preview images with a slideshow. In this example, we will see how to showcase product images with a slideshow. We saw PHP shopping cart examples with Product image zooming and product quick look, the view page template had a single product image. I have used the same template to integrate the product images slideshow. In this template, the product’s first image will be an enlarged view and the rest of the images are shown as small thumbnails. On clicking the small thumbnail image the enlarged view of that image will be shown. The image slideshow effect on the product view is done by using jQuery. The product view and the slideshow will be responsive to fit into various viewport size. This code is to create a responsive shopping cart product view page by showcasing multiple images of a product. Initially, the first image will be focused and its enlarged view is shown in the product preview section. The rest of the image previews are shown as thumbnail images below the enlarged image. On clicking the thumbnail image element, the jQuery script is called to display the enlarged preview of the selected image. The currently previewed image will be highlighted among the thumbnails. <img class="thumbnail <?php echo $focused; ?>"
The thumbnail image element’s click event is handled with a jQuery function by passing the element object reference. With this reference, the image source and the enlarged image source is derived. After forming the source of the product image, it will be applied to create and update the shopping cart product preview section markup. It will show the preview of the selected image and also highlight the one among the thumbnails. This section shows the database script with the create statements and the data that are required for this example. The screenshot displays the product showcasing output for PHP shopping cart.